On 28th August 2010 approximately 135 microlight aircraft departed Kemble (Cotswold) Airport and flew in 3 waves over the town of Wooton Basset in Wiltshire in support of and tribute to those serving in our armed forces. I was there flying G-CBLX in the first wave of around 40 aircraft. It was a fantastic day, great to see so many microlights on the ground together and maybe the first time so many aircraft have flown together since WW2? Full set of photos in the galleries here. 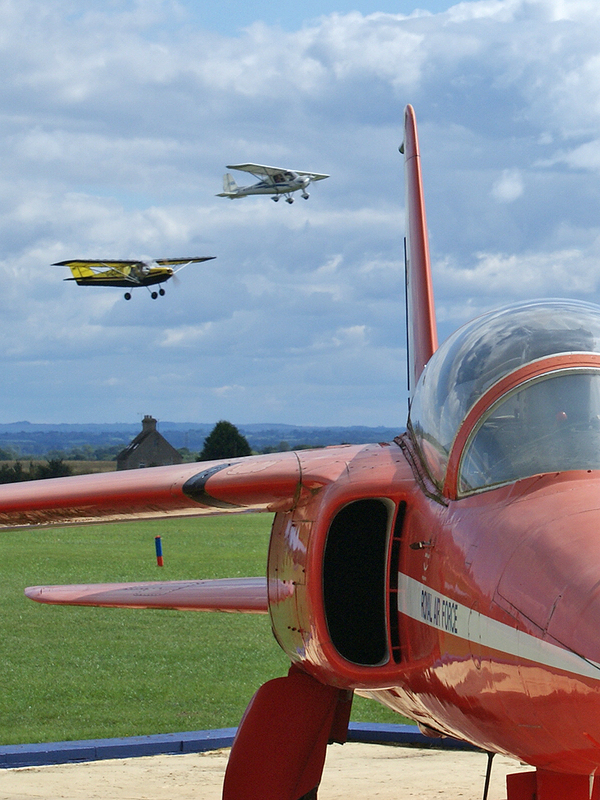 The BMAA microlight fly past over Wootton Bassett took place on Saturday 28 August. Over 135 microlights took part, including a 5 aircraft ‘missing man’ formation as a mark of respect for those who have fallen while serving our country. Chief organiser and BMAA Safety Officer Kim Taylor was delighted with the event, which went very smoothly and without incident. Kim expects that the fly past will have raised in total over £2000 for Help for Heroes. Donations can be made here. Congratulations to all involved and especially to Kim for the original idea and excellent organisation of the day.